The brochure “Crossbreeding: A Guide to Profitability” is being distributed through regional and national publications, instilling in readers the importance of heterosis and the benefits offered by Shorhorn: high marbling, lower yield grades, greater gain potential, improved fertility, excellent udders, docility, tenderness, and improved calving ease, growth, and mothering ability. 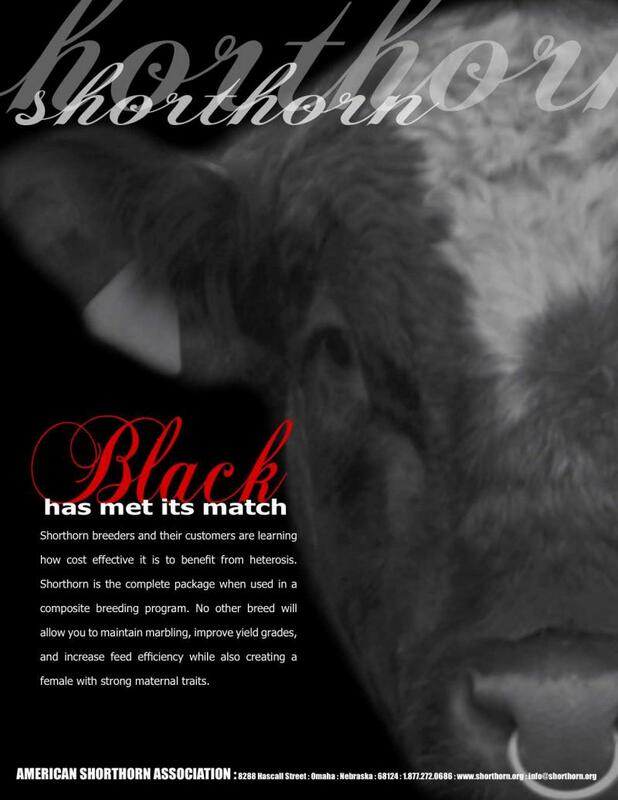 Please click here to view the American Shorthorn Association's brochure "Crossbreeding: A Guide to Profitability." Increase your herd's milk production by using a purebred Shorthorn or Shorthorn cross bull. You'll also be adding the calm, docile temperment of the Shorthorn breed! You can't go wrong ... you get the complete package!